The microprocessor based electronic control board provides many advanced features typically not found in an operator in this class. 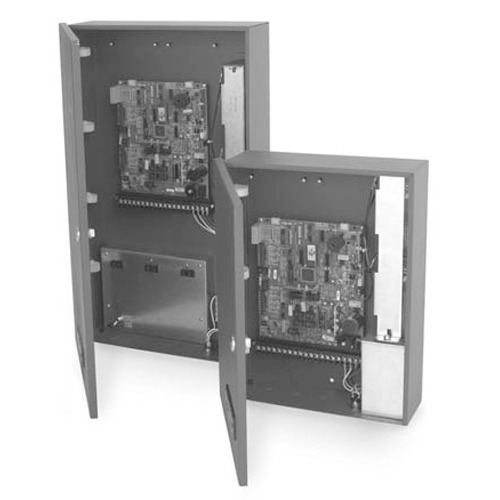 Two control boxes are available to meet specific needs. The standard control box is typically used for applications not requiring power for additional control devices, such as telephone entry systems or access control products. 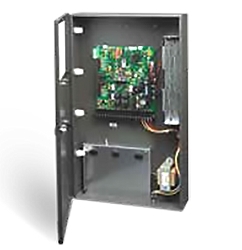 The deluxe control box provides three 115 VAC convenience outlets to power auxiliary power transformers. Both control boxes include batteries to power the actuator during power outages.